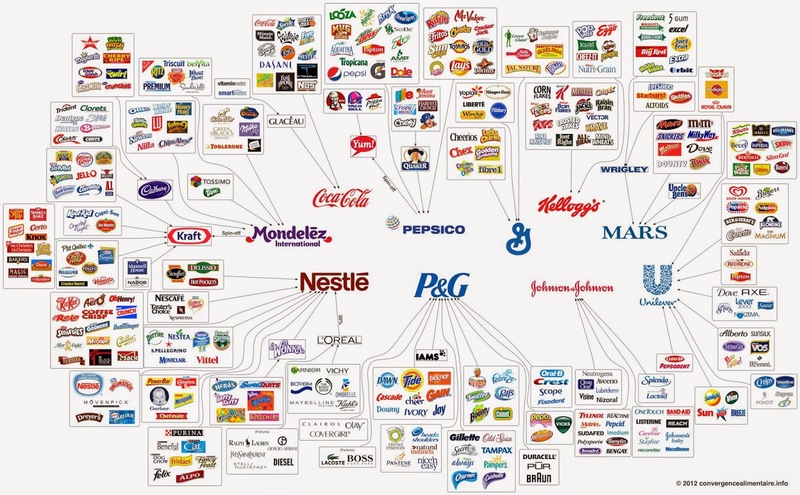 The diagram above created by Convergence Alimentaire provides a powerful mental image of many of the brands we enjoy on a daily basis, and in particular, how very few companies actually control vast branding power. As financial farmers, powerful branding is important to us because it leads to cash flow. Cash flow in turn leads to compounding (seed growth in our vernacular), which is the entire purpose of planting your own diversified financial farm. There are several companies above that own multiple billion dollar brands, brands that if spun off on their own would be world-class enterprises. The success of these conglomerates, however, is greatly enhanced by their ability to vertically integrate various product lines under a single umbrella. Theoretically, cost savings can be harnessed in advertising dollars, marketing, technology, manufacturing, distribution, and most importantly personnel. There are many advantages to owning quality brands, the individual who plans to Invest Like A Farmer should consider establishing the core of his or her financial farm with multiple high-quality brand-centric companies. Several advantages include significant barriers to entry, established shelf positions, mental identity from the consumer, and proven track records to name a few. What this typically translates into is revenue, and more importantly, profit for the financial farmer. Brands successfully marketed and sold lead to strong cash flows, increasing dividends for shareholders over time and considerable market share. These are all good results that any prudent farmer would love to plant and harvest.